The Sahel Research Group at the University of Florida is hiring a three-year postdoctoral associate. Applications are due March 4, 2019. The Sahel Research Group (SRG) of the Center for African Studies at the University of Florida invites applications for a three-year postdoctoral associate in the social sciences with expertise in the countries of the Sahel. The SRG brings together an interdisciplinary team of scholars and graduate students with research interests in the Sahel, and strongly committed to working collaboratively with colleagues in the region. We seek a dynamic scholar in a social science or closely related field, with a strong research focus on the contemporary socio-political or economic dynamics of one or more of the countries of the Francophone Sahel: Senegal, Mauritania, Mali, Niger, Burkina Faso and Chad. We seek a colleague with a demonstrated commitment to academic research on the region, as well as a willingness and strong potential to engage with the policy community. The appointment will include a 50% effort assignment to the postdoctoral associate’s own research and publication agenda, as well as a 50% assignment to coordinating and facilitating the collaborative activities of the SRG, including support for visiting scholars, conferences/workshops, grant writing, publications and social media presence. Depending on interest, there may be possibilities for teaching, as well as significant opportunities to propose creative initiatives and collaborative projects. • A record of—and/or significant promise for—publication on the region. • An ability to work both independently and as part of a highly collegial team. 3. the names and contact information of three referees who would be willing to write letters or provide oral references if contacted. For full consideration all materials should be received by Monday, 4 March 2019. This will be a twelve-month appointment, renewable annually for up to three years pending satisfactory performance. The position will include opportunities for travel and flexibility for fieldwork. Anticipated start date: 15 August 2019. 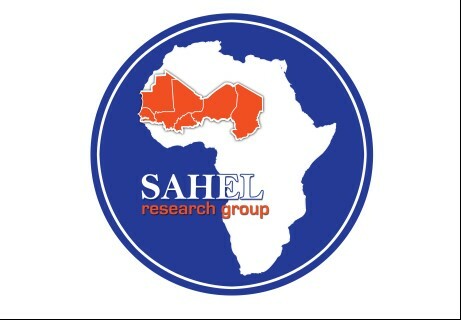 For more information please see the attached flyer, For more information about the Sahel Research Group, visit https://sahelresearch.africa.ufl.edu/https://sahelresearch.africa.ufl.edu/. A link to this announcement in .pdf form can be found below.